VDI – this one is a no brainer right? Desktop OS images that run on a server and are accessed by users remotely who run some sort of client software (VMware View client), using a connection protocol (PCoIP for VMware, RDP for Microsoft, ICA for Citrix, etc) to send screen images back and forth from the Windows, Mac, Android (etc etc) computing device. User Profiles – a chunk of the data that is unique in a set of images is the user personalization data. There are a number of ways this can be managed, but the idea is that most VDI systems provide some way of managing it. The sledge hammer way is to persist entire images forever (the essentially static 1:1 relationship), the elegant way is to use the Linked Clone approach for the common OS bits and take user profile and persist it in a separate storage location and draw any needed associations via configuration metadata. Desktop Pools – since the idea of VDI is to manage lots of virtual desktops at scale, and to provide different tiers of service and possibly different architectures (maybe some power users do get the 1:1 permanently persisted desktop while call center workers, for example, make due with the near fully commodity “built on demand” desks), an extensible management structure is needed. The concept of pools provide this flexibility. A “pool” is essentially a set of configuration options with together for a service catalog entry. Entitlements – lastly, since we want this all to be easy for users, the idea of entitlements is taking a user identity (typically from AD when we’re talking about Windows users and Windows desks) and associate it with some level of configuration and a designated pool. This way when the call center worker logs in they just get presented a desk without having to think, and the same goes for the power user. The fact that they have taken two very different paths to that login screen should be completely invisible to them. 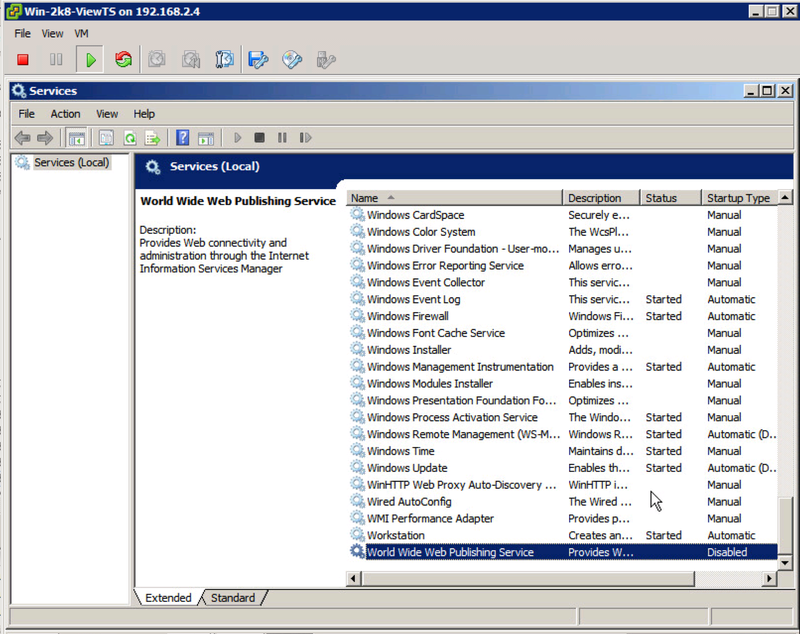 View Connection Server – this is the connection broker. Basically, think of the connection broker as your workflow orchestrator and service catalog for your Virtual Desktop Infrastructure. Without a connection broker, you’d have to create and deploy individual desktop VMs for every user and then provide them direct login info. The connection broker components allow you to fully automate this process as well as provide other awesome and advanced features like dynamic setup and teardown of desktop images, full customization and linked clones for desktop images for storage efficiency (and thats just naming a few!). This is clearly the heart and soul of View. The Connection Server pretty much requires a stand alone install, uses a web front end for configuration on standard https, and is the point from which you manage all of the other (pretty much headless) components. The install is part of the “connectionserver” package. View Composer – this is the component that provides the automated provisioning management and the aforementioned storage efficiency. It’s important, it runs headless, and it is configured through the View Connection Server UI (the “VMware View Administrator” portal). It doesn’t necessarily need to run stand alone. By default it needs to run over SSL at port 18443. View Transfer Server – transfer servers manage the dynamic aspects of end-user desktop subscription and, as a result, are designed to naturally scale out. The Transfer Server is basically a web server with code that handles the check-in and check-out process of a user requesting, being assigned, and releasing desktop instances from the pools of desktops that you create (the dynamic setup and teardown aspect whereby desktops are “built to order” and then destroyed when no longer needed). For some unknown reason it runs on Apache for Windows (?!) at port 80 and should be ok as a shared component. What do these two screenshots mean? They mean that it seems IIS was stepping on Apache. I believe IIS got installed (and activated) as part of the .NET 3.51 feature addition (required by Composer) and of course at that point took over port 80 and killed Apache. This also caused Apache to shutdown. Disabling IIS and restarting Apache did the trick. Interestingly, Composer still seems to work. I am not sure why, however. I know that Composer does not use Apache, but it may not use IIS either. It may be a stand alone app listening on port 18443 and just utilizing IIS as a certificate generator. We shall see! On a side note, it would be really nice if VMware rationalized their supporting technology infrastructure. So not Oracle and SQL Server and Postgres and Java and .NET and IIS and Apache, but rather just one from each category. Hopefully this will happen eventually. Lots and lots has been written on View and there are plenty of end-to-end walkthroughs. So instead of pushing another of those onto the stack, I thought it might be more useful to put together a handy list of things to keep in mind when doing View testing. I also plan to keep this a living list as I discover new and potentially interesting things. Transfer Server – this guy should also be kept separate because it wants port 80 and therefore can’t co-exist with the Connection or Security servers without customizing ports. Alongside the Transfer Server, however, the Composer can be collocated. 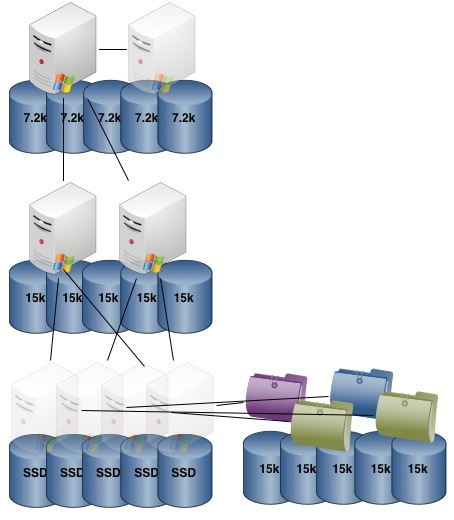 Database Server – View likes to consume databases. It is probably best to stand up a SQL database (or use an existing one) rather than attempting to use SQL Express. Note that you cannot use anything newer than SQL 2008 R2. The databases that are relevant here are the main View Connection Server database, the View Composer database and the Event database. Certs – you will see all kinds of warnings regarding using private certs and not having an enterprise PKI with a configured trusted roots and CRLs. You can ignore them. While a proper PKI infrastructure configured correctly at the client level is certainly a better user experience in production, private untrusted certs work just fine for testing. You’ll just see the usual warnings at the access layers and errors in the View event logs. DNS – DNS is a bit trickier. VMware products are often picky about DNS vs IP access in places where one was used during initial configuration. With View I observed that the OSX client really wants to access the View Connection Server by name. The Android client, on the exact same infrastructure, was fine connecting via IP. In my opinion the safe bet here is to populate your local DNS with the FQDNs for each View component (this is very easy if you are using your AD DNS as primary since they’re all domain joined). Exception would be the security server which should be populated into your public DNS in cases where production access via the Internet is being allowed. In any event, this entry is just getting started so stay tuned! The Cloud Benchmarking Project Round 1: EC2 and vCHS!